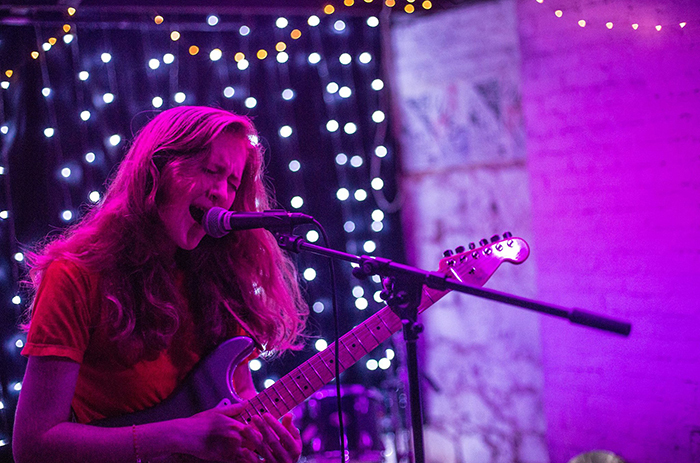 Sidney Gish will kick off the 2019 spring concert series. This time of year everyone on campus is probably ready for the snow to melt, the landscape to bring back its lively colors and the winter weather to give way to spring's warmth. While the weather keeps students indoors for now, Dickinson College will offer a wide range of outdoor musical events throughout the spring. Over the next few months, a slew of solo performers and bands—including one that features two Dickinson alums—will play free outdoor shows at The Mermaid Society Trellis. The series was organized by MOB (with concert chairs Mikey Kmetz '19 and Ginnah Etah '19) and co-sponsored by WDCV.